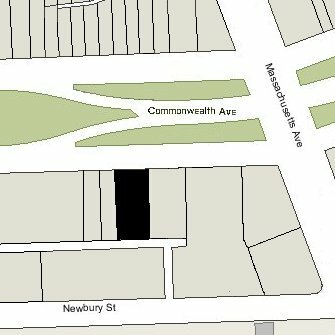 382 Commonwealth is located on the south side of Commonwealth, between Massachusetts Avenue and Charlesgate East, with 378-380 Commonwealth to the east and 384 Commonwealth to the west. 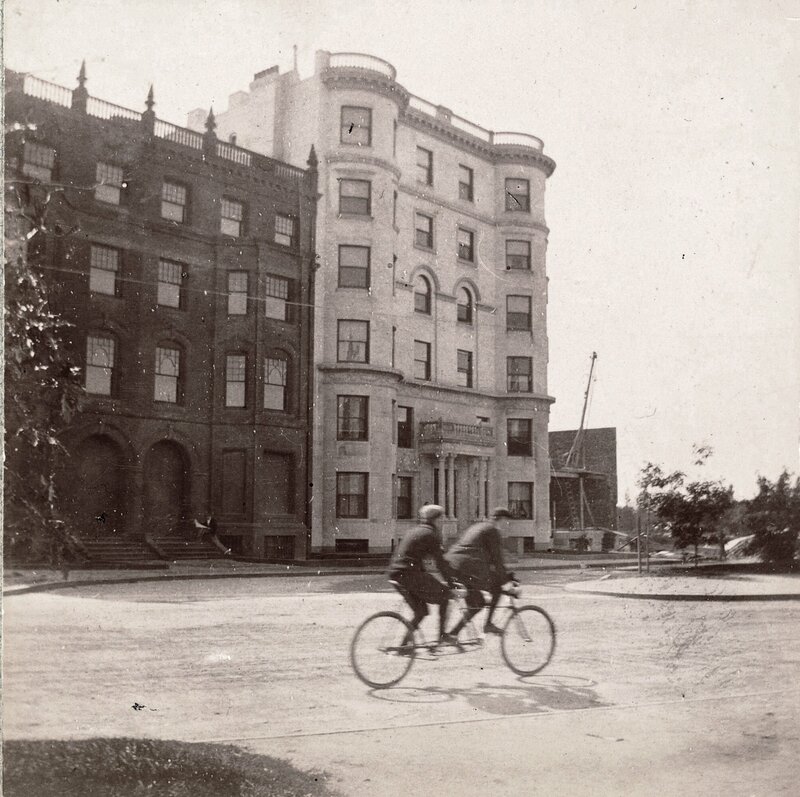 382 Commonwealth was designed by architect Arthur H. Vinal and built in 1895 as a six story, twelve unit apartment house, The Colonial, for Edwin B. Horn, Jr., a jeweler and real estate developer who lived at 11 Greenwich Park. He is shown as the owner and the builder on the original building permit application, dated January 15, 1895, and as the owner on the 1895 Bromley map. The transaction subsequently did not close. In the fall of 1895, 382 Commonwealth was acquired from Edwin Horn by real estate dealer and building contractor George Wheatland, Jr., who immediately resold the property to Josiah Bradlee Kendall. Josiah Bradlee Kendall and his wife, Elizabeth (McPherson) Kendall, lived across the street, at 389 Commonwealth. He was a real estate dealer and formerly had been a hide and leather merchant and then a granite dealer. Josiah Kendall died in June of 1897. Elizabeth Kendall is shown as the owner on the 1898 Bromley map. Elizabeth Kendall died in December of 1903. George Wheatland once again became the owner by virtue of holding mortgages on the property and is shown as the owner on the 1908 Bromley map. 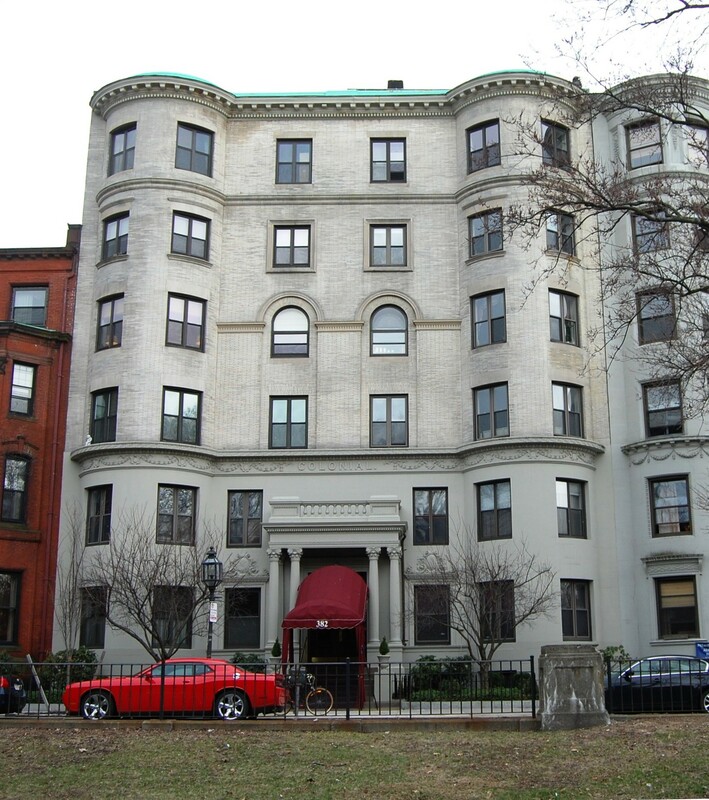 By 1910, 382 Commonwealth was owned by Josiah and Elizabeth Kendall’s son and daughter-in-law, Frederick Kendall and Harriott Martha (Magoun) Kendall. He was a leather and hide dealer. They lived at his parents’ former home at 389 Commonwealth. In November of 1910, Harriott Kendall brought suit against John D. Hardy, trustee, owner of The Puritan apartments at 390 Commonwealth, seeking removal of bay windows on the rear of The Puritan which overhung the alley and which, she argued, interfered with the free and open access to the passageway assured in her deed. The suit was dismissed. The Kendalls moved to 382 Commonwealth in 1911, and he died in October of that year. Harriott Kendall continued to live at 382 Commonwealth until about 1919, when she moved to 1 Revere-Street Place to live with her son-in-law and daughter, Gordon Allen, an architect, and Harriott M. (Kendall) Allen. Harriott M. Kendall is shown as the owner of 382 Commonwealth on the 1912 and 1917 Bromley maps, and Harriott M. Kendall et al are shown as the owners on the 1928 and 1938 Bromley maps. She died in 1941. The property changed hands and by 1951, 382 Commonwealth was owned by Jack and Harry Goldberg. In April of 1951, they applied for (and subsequently received) permission to convert the building from twelve apartments (two per floor) to 24 apartments (four per floor). In August of 1956, Harry Goldberg filed for (and subsequently received) permission to convert one of the 24 apartments into a combination apartment and dental office. 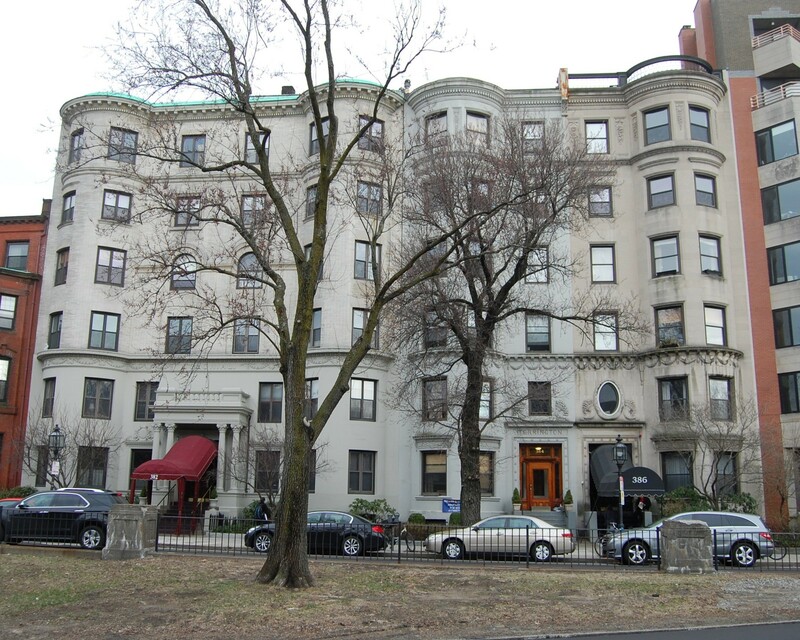 The property changed hands and In August of 1973, was acquired by V. Scott Follansbee, trustee of the 382 Commonwealth Avenue Realty Trust. By that time, it consisted of 23 apartments, one dental office, and one doctor’s office. In November of 1977, Robert L. Marr and Daniel S. Marr, Jr., trustees of the 382 Realty Trust, purchased 382 Commonwealth from V. Scott Follansbee. In May of 1984, the Marrs converted 382 Commonwealth from 23 apartments, a dental office, and a doctor’s office, into 25 apartments. In June of 1984, Stuart J. Bloom, trustee of the 382 Commonwealth Realty Trust, purchased 382 Commonwealth from Robert and Daniel Marr. That same month, he converted the building into twenty-five condominium units, the Colonial Condominium.